Found 125 webcams in Mexico country (North America). Watch weather web cameras (photo and video) showing live images. Coastal & inland web cams. Description: Camera live, sight of Guanajuato. Webcam inland showing weather images updated. Landscapes real time web cams. Federated state Baja California, found 2 web cams. Click on images to see all live cameras. Federated state Baja California Sur, found 16 web cams. Click on images to see all live cameras. Federated state Campeche, found 5 web cams. Click on images to see all live cameras. Federated state Chiapas, found 1 web cams. Click on images to see all live cameras. Federated state Colima, found 2 web cams. Click on images to see all live cameras. Federated state Distrito Federal, found 8 web cams. Click on images to see all live cameras. Federated state Durango, found 2 web cams. Click on images to see all live cameras. Federated state Estado De México, found 5 web cams. Click on images to see all live cameras. Federated state Guanajuato, found 3 web cams. Click on images to see all live cameras. Federated state Guerrero, found 11 web cams. Click on images to see all live cameras. Federated state Hidalgo, found 2 web cams. Click on images to see all live cameras. Federated state Jalisco, found 8 web cams. Click on images to see all live cameras. Federated state Michoacán De Ocampo, found 5 web cams. Click on images to see all live cameras. Federated state Morelos, found 1 web cams. Click on images to see all live cameras. Federated state Nayarit, found 3 web cams. Click on images to see all live cameras. Federated state Nuevo León, found 1 web cams. Click on images to see all live cameras. 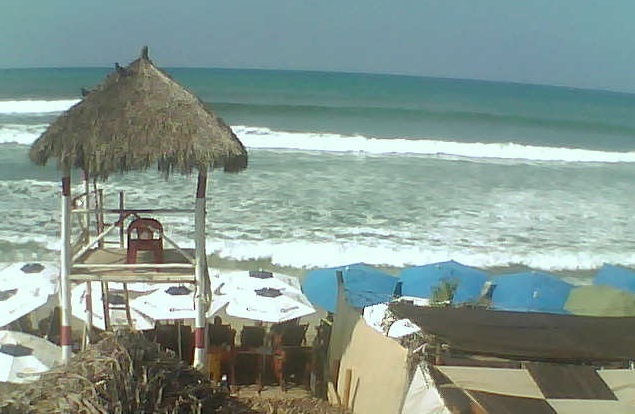 Federated state Oaxaca, found 5 web cams. Click on images to see all live cameras. Federated state Puebla, found 3 web cams. Click on images to see all live cameras. Federated state Querétaro De Arteaga, found 3 web cams. Click on images to see all live cameras. Federated state Quintana Roo, found 23 web cams. Click on images to see all live cameras. Federated state San Luis De Potosí, found 3 web cams. Click on images to see all live cameras. Federated state Sinaloa, found 2 web cams. Click on images to see all live cameras. Federated state Sonora, found 4 web cams. Click on images to see all live cameras. Federated state Tamaulipas, found 2 web cams. Click on images to see all live cameras. Federated state Tlaxcala, found 1 web cams. Click on images to see all live cameras. Federated state Veracruz, found 2 web cams. Click on images to see all live cameras. Federated state Zacatecas, found 1 web cams. Click on images to see all live cameras.